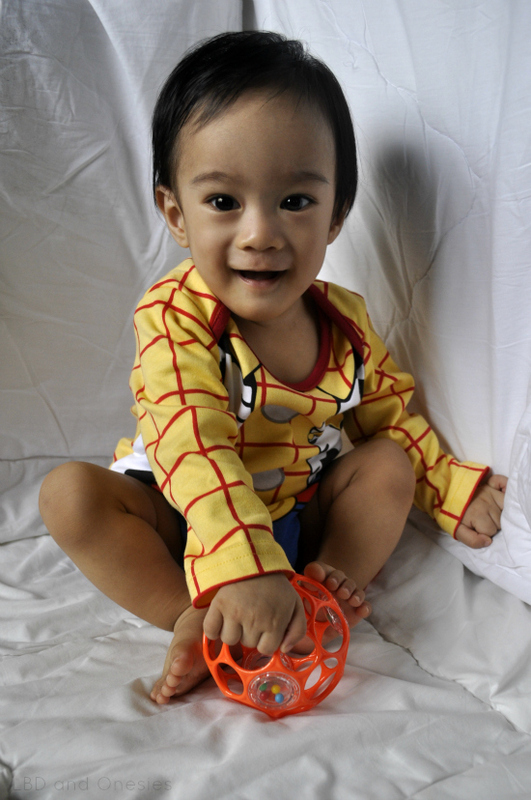 As you may infer from the title of the post, today is my little boy's 1st birthday! I am very thankful for having Z in my life. Hmmm. I'd rather post all the sentimental stuff on another blog post. Teehee! Anyway, to celebrate his one year, Bug&Kelly Music Inspired Kids Wear and yours truly would like to give a present to my lovely readers. These shirts are actually for boys but Every Little Thing's Gonna be Alright in White and Hound Dog can also be worn by little girls, don't you think? The giveaway will run from November 16 to November 30 only. The winner will be chosen through random.org. The winner will be announced and contacted via email on December 2. 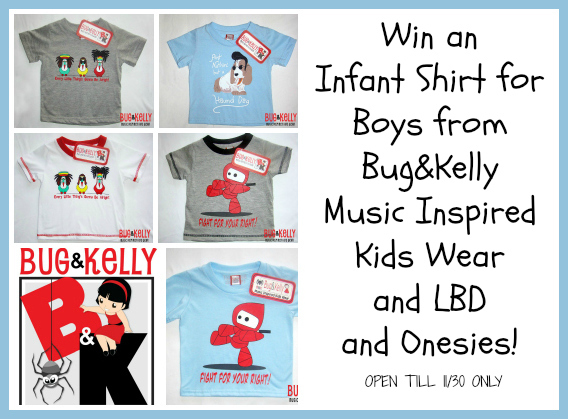 Bug&Kelly Music Inspired Kids Wear will ship the prizes directly to the winners. HAPPY BIRTHDAY LITTLE BOY Z! GODSPEED! Happy Birthday Z! May God grant all your dreams come true. Be a good boy. Happy Birthday Z! I wish you good health always. Be a good son. happy birthday z, You're truly a God's greatest gift to your Mom and Dad...And so what you will be in the future is your gift to them,Conquer your dreams, do what inspires you...but then, never forget that you're still their little baby boy whom they want to cuddle and kiss. Happy birthday Z! :) God bless you and your family. Happy birthday Z! Thanks and God bless! Awww. Happy Birthday to your Baby Z!! I want the hound dog shirt and the gray fight for your right shirt for 12-18months. Happy Birthday Baby Boy Z! You're so adorable.